aybe it’s the antique pedal cars, the 1950’s charm, or the small-town appeal. There’s something about North Bend Chevrolet that makes it very special. We’re a family-run business. Our mission is to embody the spirit and culture of our automaker, and personify the spirit of excellence in our store. At North Bend Chevrolet, our success is achieved through communication, not confrontation and through motivation. We strive to provide the highest level of service for customers. We provide an uplifting environment in which we can efficiently fulfill the needs of our customers. In short, we strive to be the best without compromise. That means being proud of who we are and what we do “servicing our customers”, and remembering that there are no greater assets to our business than having a positive attitude and a pleasant smile. The Snoqualmie Valley really is a special place, with more to discover and explore than any one publication could cover. Look inside and discover your next destination, or maybe a handful of them. Whether it’s the amazing outdoor recreation, the vigorous farming community or the charming shops and restaurants that brings you here, we’re sure you’ll find your own something special about the Valley. To help you explore, we’ve got maps, URLS, phone numbers, local lore and more. Use these resources to start your adventure. Again, welcome, and enjoy. 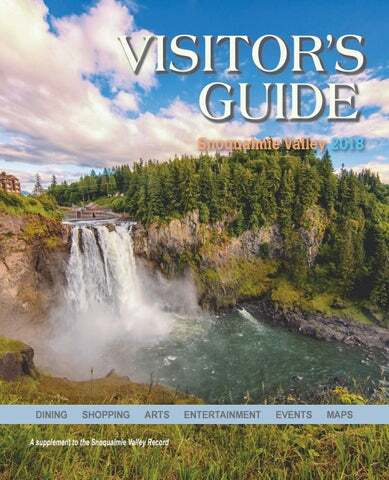 The 2018 Snoqualmie Valley Visitor’s Guide is a publication of the Snoqualmie Valley Record Offices: PO Box 300 • Snoqualmie | 2700 Richards Road | Bellevue | ValleyRecord.com Publisher - Eric LaFontaine; Editors - Carrie Rodriquez and Samantha Pak; Advertising Sales - David Hamilton and Bill Shaw; Production: Ad esign and Layout - Wendy Fried Written permission from the publisher is required for reproduction of any part of this publication. Check the website for updated schedule. For schedules and fares, go to www.trainmuseum.org or call 425-888-3030. The Northwest Railway Museum is your place for train rides, special events & experiences the entire family will enjoy! Day Out With Thomas™ Tickets on sale now! www.thomas.trainmuseum.org Event sells out! Dec 14 Tickets on sale in September! Tickets on sale in August! Fathers Ride Free Day Out With Thomas™ Event sells out. Buy tickets now! Santa Train® Event sells out! Experience the excitement of a real working railroad. See the historic Snoqualmie Depot. Ride a train to the top of Snoqualmie Falls! Shop the Depot Bookstore for unique gifts and books. The Art Gallery of SnoValley at 8130 SE Railroad Avenue, Snoqualmie, will serve as the Snoqualmie visitors center starting Memorial Day weekend, through December. season, Wednesday through Sunday from 10 a.m. to 6 p.m., interacting with Falls visitors. Visit www.artgalleryofsnovalley.com, or call (425) 213-9321. North Bend Visitor Information Center & Mountain View Art Gallery The Visitors Information Center and Mountain View Art Gallery are operated by the North Bend Downtown Foundation. It’s a great place for those visiting the area to access information on local attractions and history. Year-round hours at the center are 10 a.m. to 4 p.m. Wednesday and Thursday, 10 a.m. to 5 p.m., Friday through Sunday. The VIC is also the venue for small boutique events and local artists to show their art works within the Mountain View Art Gallery and Plaza. For more information, call (425) 292-0260, or find the North Bend Visitor Info Center and Mountain View Art Gallery on Facebook. Perched on Bendigo Boulevard at the gateway to the city, the North Bend Visitor Information Center features local information and local artists in rotating shows, in one convenient stop. Whether it’s shopping at the city’s outlet mails (www.premiumoutlets.com/outlet/north-bend), visiting Twede’s Cafe (www.twedescafe.com) and other “Twin Peaks” TV landmarks, live jazz (www.jazzclubsnw.org) performed most nights in the Spring or the mountains that brings you to North Bend, you’ll find more than enough to complete your day in this city of 6,700 people. Discover hidden gems in the downtown shops, some of them local or regional landmarks like the restored North Bend Theatre (www.northbendtheatre.com) or the Si View Community Center (www.siviewpark.org), added in 2015 to the National Register of Historic Places. Spend a fascinating afternoon going through old photos and newspapers at the Snoqualmie Valley Historical Museum any time of year. Get outside, bike, kayak or hike and explore. Catch a ride to a trailhead from Compass Outdoor Adventures, or catch a train at the North Bend Depot. The Jazz Walk is an annual night of live music in more than 20 venues, in April. SUMMER Give rock-climbing a try at the climbing rock in Torguson Park then hit the trail to try the real thing. Celebrate summer at the Downtown Block Party in July or the hometown favorite Festival at Mount Si, in August at Si View Park. The annual Blues Walk in September brings hundreds of live bluesmen and -women into downtown. In November, the North Bend Theatre hosts its own winter film festival, leading up to the international Banff Film Festival. Must present coupon to receive offer. One coupon good for foursome. Join us for your next round! he best of the Valley, from live entertainment, fresh food and produce to unique gifts can be found Tuesday and Thursday evenings at both ends of the Valley. The North Bend Farmers Market is a summertime tradition, celebrating its 13th year at Si View Park, 400 SE Orchard Drive. The weekly market is open Thursday evenings from 4 to 8 p.m., June 7 through Sept. 6, offering fresh produce, berries, honey, flowers, botanicals, baked goods, seasoning mixes, organic teas and hand-crafted items from art prints to yard décor, and prepared foods including wood-fired pizza, Bedouin style kabobs, Asian foods, shaved ice, kettle corn and Belgian waffles. A much-loved part of the market, the summer concert series features local musicians in free concerts at the park’s picnic shelter, starting at 6 p.m. June through August, 5:30 p.m. in September. All concerts are free. Bring the family, lawn chairs or a picnic blanket, meet friends and enjoy great summer tunes at the park. For the full farmers market schedule, visit www.siviewpark.org/ farmers-market.phtml. Carnation Farmers Market In the lower Valley, the long-standing Tuesday Carnation Farmers Market kicks off every season with the popular Maypole dance, plus live music and special events. It’s a food-and-farm only market, so you’ll find plants, produce and wonderfully unique goods produced by local artisans. The market runs from 3 to 7 p.m. Tuesdays, May through October, in downtown Carnation. Visit www.carnationfarmersmarket.com for more information. Housed under a majestic timber-frame structure designed, milled and hand-crafted by local artisans, the Carnation Farmers Market is sponsored by Sno Valley Tilth and operates in partnership with the city of Carnation. Just what’s all the buzz about local food? For most folks, fresh, locally grown food simply tastes better than food picked and shipped thousands of miles. But it’s really about much more than that. Local farms help preserve open space, build local economies, and nurture the genetic diversity of our foods. In addition, many farmers are staunch supporters of the environment, spending time and money planting stream buffers, changing fertilizer habits to decrease run-off, encouraging the reintroduction of native species, and restoring salmon streams. Above: The North Bend Farmers Market, opening Thursday, June 7, features a wide selection of produce and baked goods, plus hand-crafted items such as soy candles and jewelry. Below: Carnation Farmers Market puts on a children’s Maypole dance for opening day festivities. 20% off one item of your choice Please bring in this ad to redeem discount. FRESH seasonal produce ~ LOCAL specialties ~ TASTY treats LIVE music 6PM-7:30PM on all market days! Steam trains are running at the Northwest Railway Museum on special weekends, thanks to the museumâ&#x20AC;&#x2122;s steam restoration program. Where in the region can you ride in a living history exhibit? At the Northwest Railway Museum, with historic depots in Snoqualmie and North Bend, plus a history campus in between. Train rides start in early April and continue on weekends through October, and as always, the museum offers more than just a train ride experience to visitors and rail fans. Nearly all regular train excursions, approximately two hours long, include a stop at the Railway History Campus, with the Train Shed Exhibit Building housing much of the museumâ&#x20AC;&#x2122;s rolling stock, part of the railroading history of the Pacific Northwest. For an in-depth look into this history, docent-led premier tours of the Snoqualmie Depot are available by reservation Monday through Friday between the hours of 10 a.m. and 4 p.m. Reservations must be made a minimum of two weeks in advance. These small, personally led tours include a visit to the historic 1890 Snoqualmie Depot, a shop floor visit to the Conservation and Restoration Center to see the work going on in that unique facility and a tour of the Train Shed. There are also many cars on display along the Heritage Trail, a walking path along the train rails from the Snoqualmie Depot to Snoqualmie Parkway. The historic and Spellman-award winning Snoqualmie Depot is open to visitors from 10 a.m. to 5 p.m. daily. Nothing brings more excitement to the museum, though, than the sell-out Day Out with Thomas, two weekends in July. Learn more about the Northwest Railway Museum at www. trainmuseum.org. Every year, more than 1 million people flock to Snoqualmie Falls. Just a short walk from a busy highway, visitors can take in the dramatic vista of cliff walls and falling water, hear the mighty 268-foot cataract and feel the spray of its mists. Visit the Falls Snoqualmie Falls is accessible from two public parking lots just off State Route 202 about a half-mile northwest of downtown Snoqualmie. Travelers on Interstate 90 can access S.R. 202 from exit 25, by traveling on Snoqualmie Parkway north over Snoqualmie Ridge, or take the historic loop through downtown Snoqualmie via exit 27, eastbound. Park in the large, free lot across the road from the park and take the pedestrian skybridge across, or spring for one of the paid parking spots near the gift shop. Above: A 268 foot cascade of boiling water, Snoqualmie Falls attracts more than 1 million visitors each year. This photo was taken in 2015 by a tourist. Below: The Puget Sound Energy Museum, open during summers, gives visitors the history of the engineering feat that created the power plant. Inset: A plant turbine on display at the museum dwarfs visitors. Secrets of the Falls Snoqualmie Falls holds secrets beneath its waters. A century ago, workers bored tunnels beneath the bedrock and built one of the nation’s first hydroelectric power plants. Puget Sound Energy completed a huge retrofit of the power plant and surrounding grounds and opened the Snoqualmie Falls Hydroelectric Museum in 2013. Learn about the legacy of the hydroelectric project through a free tour housed. The museum opens May 27 and will be open through Labor Day. Hours are 10 a.m. to 5 p.m. Wednesday through Sunday. No trip to Snoqualmie is complete without a trip to Snoqualmie Falls, and from there, it’s short trip into historic downtown for lunch, shopping, 4 3 and even some art to take home or create yourself at the Art Gallery of SnoValley, which is also 1 the city’s visitor center. Take a trip into history aboard one of the Northwest Railway Museum’s renovated train cars (www.trainmuseum.org), or 2 walk the museum’s Heritage Trail of rolling stock. 6 Visit the Valley veterans memorial, just outside the American Legion Hall, across the street from Snoqualmie City Hall. The monument honors soldiers from the area, including towns that no longer exist, who served in all past U.S. wars. Snoqualmie is the new town that sprung up from the old mill town of Snoqualmie Falls, just down the road, so history is revered here in buildings such as the Woodman Lodge (woodmanlodge. com) and Carmichaels True Value on Falls Avenue. The Snoqualmie Valley School District operates district offices in the original Trains start running Don’t miss Day Snoqualmie High School building. from the Northwest Railway Museum every April. Hop on board for a trip to the Falls and stunning views of the Valley, or get out into the woods for some outdoor adventure. Out with Thomas in July. Celebrate the city’s heritage in August, at the three-day Railroad Days event. Late summer brings hundreds or reenactors to Meadowbrook Farm, for a Civil War battle. Take a drive through forests of color in and around Snoqualmie in the fall. Snoqualmie does the holidays in style, with a Santa Steam Train, thousands of lights, and a synthetic skating rink. YEARS FAMILY-FRIENDLY OnceOF Upon A Mattress ƚŚ ƚŚ :ƵůǇϭϱ ͲƵŐƵƐƚϭϯ  THEATER IN FALL CITY! Providing Local News in the Valley for 103 Years! Thank you for your support. Our taproom provides a fun, family friendly atmosphere where you can enjoy the finest beers, burgers & fries, phenomenal pizzas, our handcrafted root beer, and a menu just for the kids. Because life is too short to drink average beer! “ At the heart of what we do is a belief that beer brings people together and Snoqualmie Pass provides the perfect setting to do just that. It’s a special place and we’re proud to be part of the community. We provide door�to�door and fixed route service to the G E N E R A L P U B L I C in the Snoqualmie Valley. WE CONNECT PEOPLE WITH PLACES. We get people to appointments, the grocery store, jobs, and their favorite activities and entertainment. This helps people stay socially active, helps employers, helps local businesses, helps the environment and helps our community. WE WORK FOR YOU. We make sure people get where they want to go in an easy, friendly and inexpensive way. Birdwatching Wonders By Tina Blade Contributing Writer There are as many reasons to turn your attention to the Snoqualmie River Valley’s birds as there are birds to see here. With its varied habitats of farmlands, forests, and wetlands, the Valley is a prime location for a variety of birds throughout the year. One beautiful example is the Bullock’s Oriole. As you walk the Snoqualmie Valley Trail near Stillwater on a summer morning, you hear it first—a series of raspy calls and descending whistles coming from high in the cottonwood canopy. Following the sound, you look up, and catch a flash of flame-orange and black among the leaves. Then you see it, the male Bullock’s Oriole bringing an insect to the woven pouch of nest that hangs from a branch high above the trail. Besides the Bullock’s Oriole, you might see Yellow and Wilson’s Warblers, the sky-blue Lazuli Bunting, Rufous Hummingbirds, Black-headed Grosbeaks, and the diminutive Common Yellowthroat in his bright yellow bib and black mask. You are more likely to hear than see the shy Swainson’s Thrush. Russet brown with a delicately spotted breast, it blends perfectly into the woodland shadows. Many of these birds are neotropical migrants that winter in Mexico, Central and South America and the Caribbean, then fly north to mate, nest, and raise their young. You know it’s spring when you begin to hear them setting up and defending their territories in places like Rattlesnake Lake, Three Rivers Natural Area, Carnation Marsh Natural Area, Tolt-McDonald Park, the Stillwater Unit of the Snoqualmie Wildlife Area, and the farm fields and forests from North Bend to Monroe. the bit of wildness around you can be its own reward. There’s also an undeniable thrill when your diligence pays off and you finally catch sight of a beautiful songbird carefully tending its young. Or an eagle who’s been sitting high in tall snag suddenly swooping down from its perch, grazing the surface of a lake, then rising with a freshly caught fish in its talons. This article is based on the author’s personal experiences birding in the Valley and information from A Birder’s Guide to Washington, 2nd Edition (2015), Jane Hadley, ed. There is always something happening somewhere in the Valley. Mark your calendar with the following special events. Sept. (continued) Snoqualmie Valley Block Party: Snoqualmie Ridge hosts a block party for the whole Snoqualmie Valley, with bands, kids games and demos, around the middle of the month. Find Snoqualmie Valley Block Party on Facebook for more information. Tree Lightings: Community Christmas celebrations happen in Fall City and North Bend, the first weekend of December. Night on a Dark Trail: Spooky, entertaining Halloween trail walk at Snoqualmie Ridge is for youth, teens and adults. Visit www.nightonadarktrail. weebly.com for tickets and information. Fall City’s festival includes a holiday arts market at Chief Kanim Middle School, choir concert at Fall City Elementary and, the lighting of the plum trees along S.R. 202, followed by Santa’s arrival and a bonfire and refreshments in the Arts Park. In North Bend, the festivities start right after the Mount Si Senior Center’s Holiday Bazaar. Enjoy refreshments, performances by local youth, and cheer for Santa’s arrival. Santa Train: Ride the train with Santa, starting Thanksgiving weekend. Learn more at www. trainmuseum.org Holiday Bazaar: Buy holiday gifts and enjoy a full day of entertainment by local young talent. The bazaar features hand-crafted goods, carolers, and the Si View dance program. Viewing Elk (from http://wdfw.wa.gov) • Elk are primarily crepuscular (active at dawn and dusk); early morning and late evening are best times to observe them. Top: Two bull elk face off on a foggy morning in 2016 on Meadowbrook Farm, in this photo by Danny Raphael. Above: Traffic backs up on S.R. 203 when elk cross the highway. Cars are the worst predator elk face in the area; roughly 50 animals each year are killed after being hit by cars. Road, and continue to 428th Avenue Southeast. Turn right on 428th and wind your way back into North Bend. Or, take a small detour to look for mountain goats on Mount Si: Turn right onto Southeast 92nd Street, and go a quarter-mile, then pull over to have a look. • When temperatures are mild, elk may be observed feeding in short bouts throughout the day. When not hunted, elk adapt well to humans and find lawns and golf courses excellent places to graze. • A good time of year to observe elk is in fall. In late September and October, bulls are battling over females and are not as concerned about being seen. • The best way to view wild elk is to find a meadow, or other open grassland they have been using and to wait quietly nearby. • In winter, look for pits dug in snow where elk have been pawing for food, or for crisscrossing tracks in the snow typical of foraging elk. CALL TODAY C ALL T ODAY FOR STORAGE SPECIALS! FOR STORAGE SPECIALS! Tour historic landmarks like the Fall City Masonic Lodge or the hop shed in Fall City Community Park (www.fallcity.org/historical). Take the kids to meet the animals at Baxter Barn (www.baxterbarn.org). If you just want a leisurely float down the Snoqualmie River, put in at the Plum Boat Launch, take out when you reach downtown, or just go to Fall City Floating (www. fallcityfloating.com) and let them get you there. The unincorporated town enjoys a thriving arts community; check out the colorful corner that is the Fall City Arts Park downtown (www. fallcityarts.com), take in a show at the outdoor Snoqualmie Falls Forest Theater (www. foresttheater.org) or stop at the Raging River Cafe (www.theragingrivercafeclub.com) for live music, most nights. 1. 2. 3. 4. 5. 6. 7. 8. Find a local farm and watch food grow, or coo to the baby animals. Any time of year is a good time for golfing in Fall City, which boasts two spectacularly scenic courses, Mount Si and Twin Falls. SUMMER Fall City Day, a traditional festival with parade and rubber ducky derby is the start of summer. Watch the hometown semipro Northwest Honkers baseball team at Fall City Park all season. Meet artists in their studios in the Snoqualmie River arts tour. Find more art downtown and in December, count down to the tree lighting —for the many plum trees along the river and S.R. 202. If you have questions about Air Conditioning or gas furnaces (even if you don’t buy from us!) I’ll answer them honestly. Just email me at Matthew@allstar-hvac.com We like to keep our neighbors happy! Our Breakfast is a great start to your day! North Bend Cascade Golf Course 14303 436th Avenue SE North Bend, WA 98045-9666 (425) 888-4653 http://www.cascadegolfcourse.com Cascade Golf Course is a nine-hole public course, offering play for all levels, from beginners to experienced golfers. Games usually take about two hours for nine holes, four hours for a full 18. Play takes a little longer if you stop to admire the elk herd that occasionally passes through the scenic course. Fall City Snoqualmie Falls Golf Course 35109 Southeast Fish Hatchery Road Fall City, WA 98024-8601 (425) 441-8049 www.snoqualmiefallsgolf.com This 18-hole course has some of the best conditions in the Valley. Great for all ages, the course is guaranteed to stay green all summer. Twin Rivers Golf Course 4446 Preston Fall City Road Southeast Fall City, WA 98024-5707 (425) 222-7575 www.twinriversgolfcourse.com This advanced 18-hole course offers not only a great game, but players will also enjoy its natural surroundings. Post-game, enjoy a great view of Mount Si on the back deck. avid golfers, provides an enjoyable golfing experience. Try out the well-maintained fairways and manicured greens. Or sit back and relax at the Blue Heron Bar & Grill. Snoqualmie Mount Si Golf Course 9010 Boalch Avenue SE Snoqualmie, WA 98065 (425) 391-4926 www.mtsigolf.com A 27-hole golf course, Mount Si offers the usual 18 holes plus a nine hole pitchand-putt course. Players are all ages on this classic woodland golf course, featuring views of Mount Si in every part of the course. Valley Record readers named it the Best Golf Course in 2017. Private Clubs The Snoqualmie Valley scenery has also become home to several private golf clubs, such as the Jack Nicklausdesigned PGA course on Snoqualmie Ridge. Learn more about the golf course at www.clubatsnoqualmieridge.com. Live theater lives in the Valley The Snoqualmie Valley is home to live theater all year long, with North Bend’s Valley Center Stage and Fall City’s Snoqualmie Falls Forest Theater. that entertain, and make people laugh, think and feel. Recent productions include “Open House” and “Death Trap.” Valley Center Stage is located in a cozy, handicappedaccessible space at 119 North Bend Way, North Bend (on the second floor of the Mason Lodge). Visit www.valleycenter stage.org for information. “Open House” showed at Valley Center Stage in March 2018.
by urban development, as well as providing outdoor recreational opportunities for members and guests. For more information visit www.foresttheater.org. Ann Wilson of Heart Friday, July 6 at 8 p.m.
mer concert schedule at its breathtaking Mountain View Plaza. See a partial schedule, right. For the full schedule and tickets, visit the website, www.snocasino.com. With an open meadow giving all dogs free range to run and play, Three Forks Off Leash Dog Park, loAbove: The Snoqualmie Valley Pet Food Bank hosts an annual doggie egg hunt at Three Forks Dog Park. cated in the Three Forks Natural Area File Photo Below: A dog enjoys the sun in Three Forks Dog Park. Courtesy of the City of Snoqualmie in Snoqualmie, is both owner- and dog-friendly. There are eight acres of open space for dogs, picnic tables for visitors, water, and access to the Snoqualmie Valley Trail. Clean-up bags are available. Miles of trails await you and your pooch pal at Iron Horse State Park. Clip on the leash and get ready to walk or run in the 1,600-acre park, lined with more than 100 miles of trails built on old railway lines. The former railroad turned public recreation corridor gives visitors the time to enjoy spectacular scenery, bird watching and wildlife. It is supported by Railsto-Trails Conservancy, a nonprofit organization working to build a network of trails from former rail lines and connecting corridors. Views, hikes, and a brilliant blue lake are only the beginning at this popular park a short drive from Seattle. Bring leashed four-legged friends on one of the many trails around the lake, or up the steep hike to Rattlesnake Ledge for a panoramic 270-degree view. Don’t leave canine friends behind when you picnic in the 574-acre Tolt-MacDonald Park. Leashed dogs are welcome in the park and on the 500-foot suspension bridge that crosses the Snoqualmie River and provides views of the river and Cascade foothills. For a chance to stretch your legs, follow the trail past the ball fields to Carnation’s home-grown off-leash park, eight acres of fenced-in grass that your dog will love. Senior Living at its Finest Join the Fun! "See why Red Oak is the best value for Senior Care in the Valley and on the Eastside." Snoqualmie Valley has active adult and customized assisted living care offered in a smaller more personable community at the foot of Mount Si. Farmers Market. Browse the shops for everything from new tools and wools to vintage cars. Explore the confluence of the Tolt and Snoqualmie Rivers. car. The city closes the highway for the parade and street festival. Timber is in July, a familyfriendly music festival. Watch for the U-pick farm signs as you drive. Pick your pumpkins at any number of local pumpkin farms and do the same for your Christmas trees come December. The Carnation Tree Farm, with a historic renovated barn, is a popular destination. Volunteers and patrons work together to weave in and out to make a May pole. See, hear and taste the way of medieval life at Camlann Medieval Village in Carnation Tucked in a forest off of Carnation’s Kelley Road Northeast, one need only pay a small fee to take a step back in time to the mid14th century. Villagers spring to life at Camlann Medieval Village, a living history museum that has weekend festivals once a month. In addition to seeing life as it was back then, patrons can opt for lunch or an evening meal at the Bors Hede Inne. Guests are treated to English cheeses, fruit or meat or vegetable pottage for lunch and a two-course meal for supper. The dinner dishes include everything from rastons (bread fortified with egg) to roast chicken in dragon’s blood sauce and buttered worts (lightly sautéed greens). The village offers unique storytelling and magic shows as well, plenty to keep children interested and entertained. Guests are also welcome to rent medieval clothing for the time they are at the village. President and founder Roger Shell said part of the reason the village exists is so the community can see where they came from. “We don’t want to go back to the 14th century, although there’s a lot of good things there, but if we take the good things from there and bring them into our lives, we can improve our lives,” he said. “You can have a garden, you can build your own house, you can have your own business and you can actually talk to people in person.” Camlann Medieval Village is open from 12-5 p.m. on weekends May through September and is located at 10230-10372 Kelly Road NE in Carnation. Admission is $5 for adults and $10 during festivals. Discounted admission is available for seniors and children. Children 5 years old and younger are free. For more information on Camlann Medieval Village, visit www. camlann.org. Two girls assist a magician with his tricks. A day on the farm Come to the farm, there are plenty to see in the Valley. Whether you are looking for a u-pick, a they-pick or a CSA program, you will find many choices, plus animals to meet and maybe even feed. Carnation A six-acre organic farm in Carnation, First Light aims to be a welcoming place where families come to enjoy the beauty of the Valley, learn to harvest their own dinners, or grow their own vegetables. Produce and local honey are for sale at the farm stand and Soil to Supper members can harvest vegetables any day of the week. Visit www.upickseattle.com. Participants line up for a dance lesson as part of the Tilth Farm Faire at Jubilee Farm. Carnation Remlinger Farms is well known for its u-pick berries and pumpkins, park, picnics, and farmers market. Shop at the market, or pick your own produce while you’re there. Visit www.remlingerfarms.com. chickens, bunnies and a pig. Tour the 2.5-acre property, check out the historic barn. Visit www.baxterbarn.org. Carnation Oxbow is a 25-acre mixed vegetable, tree fruit and berry farm bordering an oxbow lake, hence the name. They’ve been farming and running CSA’s for 15 years. Visit the farm and explore the Children’s Garden. Pick up fresh produce at the farm stand or native plants at the farm’s nursery. Visit www.oxbow.org. Carnation Jubilee Farm sits between the Snoqualmie River and one of the most scenic drives in the state, West Snoqualmie River Road. Stop in during the spring or fall harvest tours, or bring the kids to pick out a pumpkin in fall. Visit www.jubileefarm.org. Find yourself in the real ‘Twin Peaks’ As the debut of the new “Twin Peaks” TV series approached last May, fan anticipation reached a fever pitch, 27 years after the show that turned the Snoqualmie Valley into a pop-culture icon of the Pacific Northwest. The hit show, which has spawned a culture of its own, drives consistent tourism from all over the world to Valley cities every year with an emphasis in the summer for the annual Twin Peaks Festival. But the series isn’t short of fans from within the Valley either. Twin Peaks is a strange and magical place that lives in the hearts and minds of fans across the world, but you have to believe in Twin Peaks to find it on the map. The fictional town in the cult television show is a blend of many places in the Snoqualmie Valley, and the greater Seattle area, where the original series was shot. Yet each Valley town lays claim to its own spot in the Twin Peaks geography. While Snoqualmie has the iconic Great Northern Hotel (Salish Lodge & Spa), the former site of the Twin Peaks sign and the Twin Peaks Sheriff ’s Department (DirtFish Rally School), North Bend is home to the revered Double R Diner (Twede’s Cafe, 137 W North Bend Way, North Bend) still famous for its cherry pie and coffee. To find The Roadhouse, just go to the Fall City Roadhouse (4200 Preston Fall City Rd, Fall City), a few miles down S.R. 202 from the Great Northern. 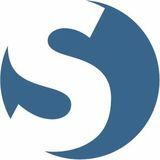 Things to see... With a population of more than 13,000 and a third of that under the age of 18, Snoqualmie is a family-focused community, especially in the newest neighborhoods on Snoqualmie Ridge. The city has been one of the fastest growing communities in the state for two decades, and much of that growth, including two elementary schools, a new library, police and fire stations, hospital and YMCA community center, has occurred on the Ridge. Center Boulevard is aptly named, with a variety of restaurants, the library, and a huge community park at the end of the street. Although it’s part of the city of Snoqualmie, the Ridge also celebrates its own identity with a Snoqualmie Valley Block Party, Fourth of July festivities and Ridge-wide events organized by the Residential Owners Association. One thing that makes the master-planned neighborhoods here special is the proliferation of parks, more than 35 of them, plus maintained trails, hundreds of acres of open space and access to regional trails and outdoor recreation. The Club at Snoqualmie Ridge is the official “Home of the Boeing Classic,” the annual PGA Champions Tour. The city also has the distinction of having been named the “Greenest Town in Puget Sound” by PSE for resident participation in the Green Power program and installing solar panels on the Snoqualmie Community Center. 1. 2. 3. 4. 5. Get up early and take the kids fishing at the Snoqualmie Police Department’s annual kids’ fishing derby in early May. Or capitalize on other people’s spring cleaning by shopping for treasures at the Snoqualmie Ridge community wide rummage sale. Find movies and concerts all summer at Community Park. Bring the family to the July 4 parade or join the fun at the annual Tanner Jeans Bike Rodeo. In August, the PGA Champions Tour, makes a stop at the Club at Snoqualmie Ridge. Better than a haunted house, this community event haunts the Snoqualmie Valley Trail. Night on a Dark Trail features dozens of performers in a Halloween show with song-anddance numbers, a true plot, and full production value. The Valley has fare to fit every appetite, from upscale fast food found to fine dining , plus everything in between. The Snoqualmie Valley is not just a great place for beer, but for wine as well. Unique and stylish wineries are part of the Valley’s identity thanks to the efforts of Sigillo Cellars and Mount Si Winery in Snoqualmie, Convergence Zone Cellars and Pearl and Stone Wine Co in North Bend and William Grassie Wine Estates in Fall City. Top: An employee bottles wine at Sigillo Cellars in Snoqualmie. Right: “Love Wine! Love Local!” at William Grassie Wine Estates in Fall City. Below: Pearl and Stone Wine Co. in North Bend. Bottom: Mount Si Winery in Snoqualmie. Valley areas. Scott Greenberg, vints and blends the grapes into award-winning, small production, premium quality wines. Visit www.czcellars.com. Pearl and Stone Wine Co was born from the art of teaching, the joy of learning a nd the love of wine. The winery is a partnership of three families, deeply rooted in the Snoqualmie Valley, and brought together by three women with a commitment to quality elementary education. Visit www.pearlandstonewine.com. William Grassie Wine Estates is an intimate winery committed to producing premier Bordeaux style wines. Winemaker Bill Grassie’s passion for gardening led him to plant a vineyard on a bare patch of ground at his new property, which accelerated his efforts to become a winemaker. Visit www.wmgrassiewines.com. The Snoqualmie Valley is home to two local breweries, Snoqualmie Falls Brewing Company, making hand-crafted brews in downtown Snoqualmie since 1997, and No Boat Brewing Company, a recent addition to Snoqualmie Ridge, with a kid-and-dog friendly dining room. There’s also North Bend’s to-go style brewery, The Growler Station. Find 13 brews on tap at the Snoqualmie Falls Brewing Company, along with their own root beer. The company has been in business for over 20 years. Elevate your game at Snoqualmie Casino. World-class dining, once-or-twice-in-a-lifetime entertainment and games that are always hot. Just 30 quick minutes from downtown Seattle. Come find Seattle’s closest casino. And turn up the night.